If only every dream kitchen came at a dream price. We can dream, but the harsh reality is the average price of an American kitchen remodel this year will run $22,187 according to Home Advisor. Designing your dream kitchen at a price that doesn’t cripple your checkbook or max out your credit card is a Rubik’s Cube-like challenge for millions of American families. And you thought deciding what to make for dinner was a challenge. Most designers advise capping your kitchen renovation budget at 15 percent of your home’s value, while also setting a budget minimum of 5 percent of your home’s value. The 5-15% Rule is the gold standard for kitchen rehab budgeting. For example, a smart home valuation cap for a $300,000 home would be $30,000-$45,000. For a home with a value of $100,000, a good budget bet would be $15,000. The next step is a budget breakdown of expenses. 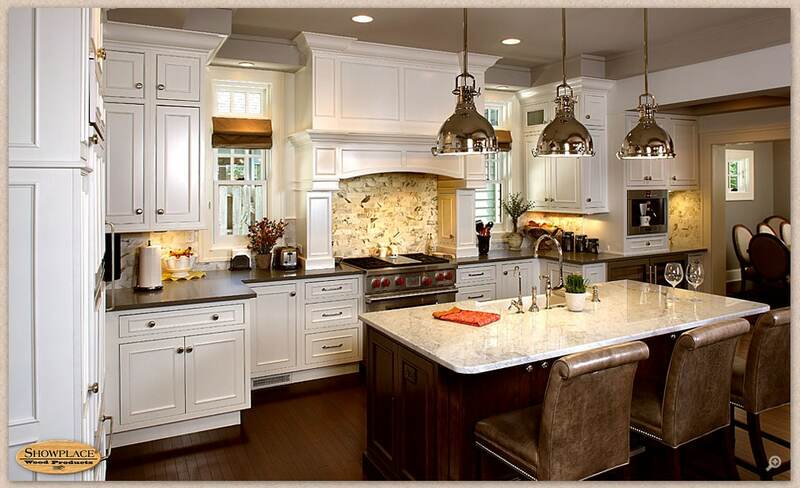 Earmark the most money for the kitchen features that will require the largest amount of investment. Time Magazine’s Money Guide recommends figuring: 30% on cabinets (the No. 1 expense of any kitchen renovation, according to the National Kitchen and Bath Association), 14% for appliances, 10% on countertops, 5% on lightning, 4% on plumbing fixtures, 2-3% on paint, 1-2% for tile and 35% on construction costs such as windows, flooring and labor. There’s no such thing as a free design for your dinner table. Nobody can give you a more accurate quote on what it will cost to bring your dream kitchen to life than a professional designer. A veteran designer has no conflict of interest and will take up 3% to 10% of your budget. Kitchen redesign costs vary based on the size of the kitchen, the quality of materials and the complexity of the job. A professional designer will let you know exactly what it takes to bring your dream kitchen to life and on budget. The first rule about any major home investment is the bottom line law of every kitchen renovation: Know how you are going to pay for the remodel. Here are some of Time’s ace budgeting rules that will help you keep your rehab costs under control. Consult with the remodeler about how your costs will be separated among projects. Keep in mind that labor will take up 20% to 35% of the budget. 20% of your budget needs to be set aside for unexpected costs. Prioritize what you want done during the remodel, in case the funds run out. Figure out how you are going to pay for this remodel. There are various options for financing a remodel, including loans, credit cards and cash out of hand. Decide where you are going to live while the remodel is going on. If you live at home, it’s going to be noisy and messy. If you will stay in a hotel, factor that additional cost into your budget. Consider doing some of the smaller projects in the kitchen yourself to save money. It can go toward other projects. A great way to slash the price of any renovation is by capping how much of the kitchen you replace. The key is knowing what you want to keep. For example, keeping original windows can save $500 to $1,000 per window and maintaining the original wood floor underneath linoleum and vinyl can save as much as $2,000. For any family considering moving within the next five years, committing to a $60,000 renovation makes no sense. If you’re planning on putting your house on the market within the next decade, opt for a cosmetic upgrade and refresh cabinets, doors, drawers, faucets and lighting rather than straight replacing all fixtures. “Just like everything in life, emphasis must be paid to your future plans and remodeling a kitchen is no different,” Improvenet’s Jacob Hurwith stresses. A kitchen renovation is the biggest home improvement project any family can commit to, but it can yield a golden return on investment. To make your dream kitchen come to life on budget, thoroughly research and plan the investment – both in money and time — it will take to bring it to life.